Please visit the Township Municipal Office to receive your "Welcome to Forks Township" packet of important information including generalities covering every department within the Township. What Hospitals are in our Area? What Important Phone Numbers should I keep handy? What are the phone numbers to my State Officals? What are the phone numbers to Northampton County Services? Where can we pick up a Recycling Container? New Residents may pick up a Recycling Container at the Forks Township Public Works Building, located at 100 Newlins Road East, Easton, Pa. from 6:30am to 3pm Monday thru Friday or call 610-438-2670. Residents will be asked for proof of their name and address. Upon verification, they will be provided a recycling container. What if our can is Damaged? Please call 610-438-2670 and we will have someone check out the cause and determine if there is a $15 fee to replace or not. 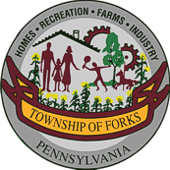 What permits is required when moving to Forks Township? Residents who already live in the Township (and are moving from one house to another) and will continue living in the township. When moving into the township a moving permit is not required, however we do ask that you contact the Township office @ 610-258-5909 to inform us of the day you will moving in. The charge for a moving permit is $5.00. Please call the township office for any additional information you may need. You must have resided in your election district for a minimum of 30 days before voting. Visit the Northampton County Voter Registration website. What is the School District in Forks Township? Where is the Tax Assessor's Office located? Where are the Forks Township meetings held each month? Exceptions: First Thursday in January and other possible holiday conflicts. Worksessions may precede or follow any regularly scheduled BOS Meeting. How do I get a Dog License application? All dogs 3 months and over are required to be licensed annually. Dog License Applications are available at the Municipal Building, 1606 Sullivan Trail. The Application should be completed and mailed to the County Treasurer's Office located at 669 Washington Street, Easton, Pa. 18042 or call the County Treasurers Office at 610-559-3102. Please note: If you are applying for a license that requires the dog owner to be a senior citizen, (Age 65 and older) or a person with a disability, you must provide proof of age or disability to the County Treasurer or Agent. 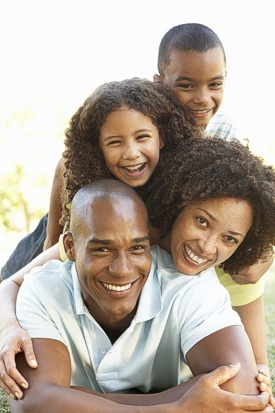 Scheduling an Outdoor Picnic or Family Function? Where do I get an application for a Block Party? Applications for Block Party Requests are now available. Click HERE to download. Please fill out the necessary information requested and return the form to the Municipal Office to obtain approval. Where do I get Complaint Forms? When a resident is filing a complaint regarding Township roads, pot holes, plowing, etc., a formal Complaint Form is required to be filled out and returned to the Department of Public Works. Complaint Forms are now available on this website. Click HERE to download. Where do I get a permit for Garage / Yard Sales? A permit is not required when holding a garage/ yard sale however, it is required notification. Any resident wanting to hold a garage / yard sale must contact the township office with the following information before the sale. Due to heavy traffic concerns, this information is then forwarded to the Forks Township Police Department. What is the Forks "EMS" Tax? On January 3, 2005, the Forks Township Board of Supervisors adopted Ordinance 290, which established the Emergency and Municipal Services Tax. The tax is $52 per calendar year for all non-exempt persons working in the township. The Emergency and Municipal Services Tax replaced the Occupation Privilege Tax. The purpose of the Emergency and Municipal Services Tax is to collect a tax from all persons who work in the township and utilize the township's municipal services, including those persons who do not live in the Township. What do I need to know about Real Estate Taxes? Tax bills are sent out in early February. If a mortgage company pays your taxes, it is the property owner's responsibility to send the tax bill to their mortgage company. The tax bill is discounted by 2% if paid by April 1st. If the tax bill is not paid in discount, the base rate applies until May 31st. After May 31st all unpaid tax bills have a 10% penalty added. Each year, township real estate taxes that are unpaid as of December 31st are turned over to Tax Claim office at Northampton County. Tax bills are sent out in early July. The school tax year is a fiscal year running from July 1st through June 30 the following year. If a mortgage company pays your taxes, it is the property owner's responsibility to send the tax bill to their mortgage company. This tax bill is discounted by 2% if paid by September 1st. If the tax bill is not paid in discount, the base rate applies until November 1st. After November 1st, a 10% penalty will be added to all unpaid tax bills. The school district also offers an installment plan for paying real estate taxes. The base rate is divided into four equal payments and the first installment payment must be made by August 15th. Thereafter, an installment payment is due On October 15th, December 15th, and February 15th. If an installment payment is late in being paid, a 10% penalty will be added to the payment. Each year, school real estate taxes that are unpaid as of April 15th are turned over to the Tax Claim office at Northampton County. Where can I get a Tax Certification Request form? Tax Certifications are $ 20.00 each, checks should be made payable to "Anne Bennett-Morse", Tax Collector. The completed tax certification will then be faxed to the person requesting the tax information (these will not be mailed) therefore fax telephone numbers must accompany the tax certification request. You can also contact Anne Bennett-Morse by calling 610-250-2254 on Tuesdays between the hours of 8:00 AM and 12:00 PM and on Thursdays from 12:00 PM to 4:00 PM.